Each year the average North American ingests well over 200 pounds of animal protein. Meanwhile the global appetite for meat has increased dramatically. But feeding our meat addiction comes at tremendous cost. Maintaining our current level of consumption is ecologically impossible in the long-term, and undermines our personal health and community well-being. 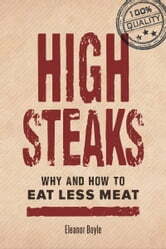 High Steaks documents the disastrous consequences of modern large-scale industrial meat production and excessive consumption including: The loss of vast tracts of arable land and fresh water to intensive livestock production Increased pollution, loss of biodiversity, deforestation and accelerating climate change The environmental and health impacts of too much animal fat and of fertilizers, antibiotics and other chemicals in our food.Timely and compelling, this powerful book offers a modest, commonsense approach to a serious problem, suggesting strategies for all of us to cut back on our consumption of animal products and ensure that the meat we do consume is produced in a sustainable, ecologically responsible manner. 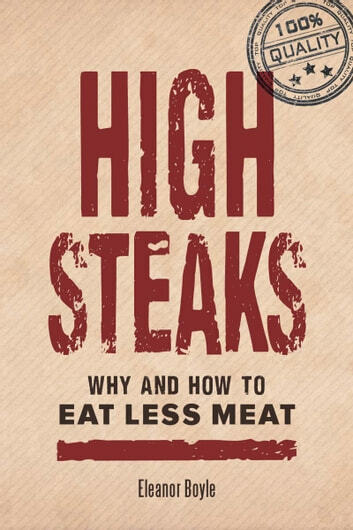 At the same time, High Steaks describes progressive food policy shifts that will discourage factory farming and encourage people to eat in ways that support ecosystems and personal health.